Heather Essian Portrait Arts Blog: How about Mother's day? 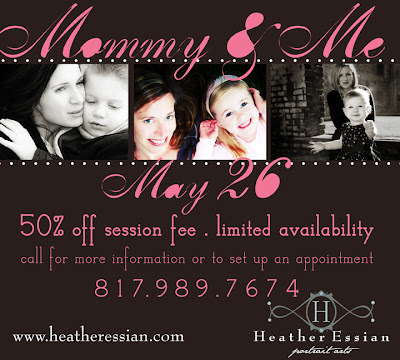 Okay tell your man to sign you up for a mother's day gift..."honey I would love to receive a gift certificate for pictures...hint hint." This is not only for children but even if your 40 and your mama is 60 this is a great time to capture that sweet relationship between you!